Chelsea fans would be having a laugh at the moment in the wake of the news that Spanish La Liga giants Real Madrid are looking to offload one of their former players. 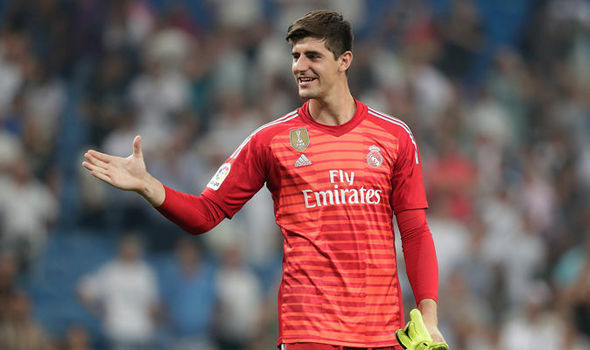 Thibaut Courtois was a Chelsea goalkeeper until last summer when he forced through a move to Real Madrid with a year left on his then Chelsea contract. Real Madrid spent £40m to sign Courtois last summer while Croatian midfielder Mateo Kovacic joined Chelsea on loan as part of the transfer. The Daily Mirror revealed that the Los Merengues could now be looking to sell him this summer just one year after his signing. Thibaut Courtois was the first choice goalkeeper at Real Madrid until the reappointment of Zinedine Zidane as the club’s manager. The 26-year-old has been dropped as the number one shot-stopper at the club with Zidane opting for three tried and trusted hands of Keylor Navas. Costa Rican international star Navas was a key member of the Real Madrid team that won three straight Champions League titles under the guidance of French football legend Zinedine Zidane between 2016 and 2018. Zidane rested Keylor Navas for the weekend’s game against Huesca but didn’t turn to Courtois. Instead, Zinedine Zidane started his son Luca in goal as they secured a 3-2 win over their opponents. Star player insists on Chelsea stay . Did Sergio Ramos take a dig at Thibaut Courtois? The race for the top-four finish in the Premier League table is currently between Man United, Arsenal, Chelsea and Tottenham and the Red Devils feel some of the teams have got an edge. The Red Devils are currently a sixth place with two points behind fourth-placed Arsenal and fifth-placed Chelsea which means they will have to do more to be able to catch up. What is more disturbing for the Red Devils is the fact that they will have to travel to the Goodison Park to face Everton before they will line up for the clash against Man City and Chelsea. Solskjaer stated that his team are not in a better position to qualify for the Champions League next season despite having their rivals Tottenham, Arsenal, and Chelsea still in European tournaments. He noted that he would have loved his team to also play in the semi-finals, adding that it is the wish of every player to want to compete and win titles. 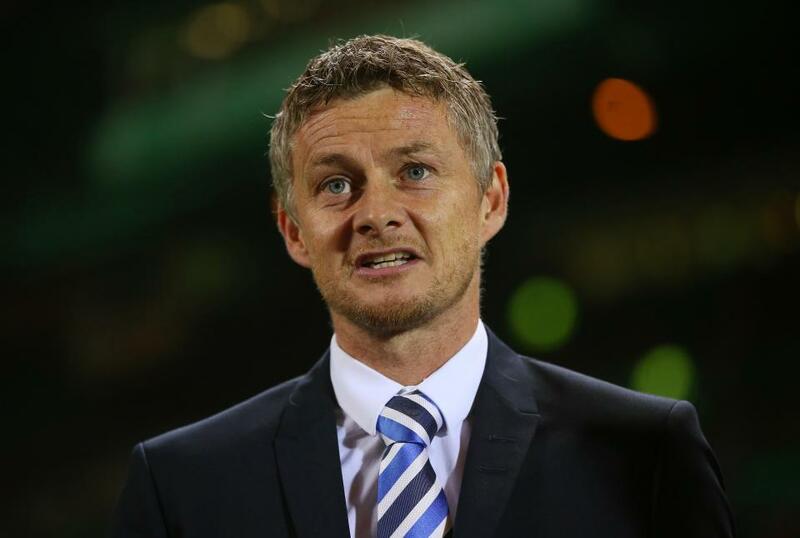 However, Ole Gunnar Solskjaer has stated that the attention of his team is to see through the next three fixtures in the Premier League because the games will define their season before they later travel to Huddersfield and then host Cardiff City to end their season. 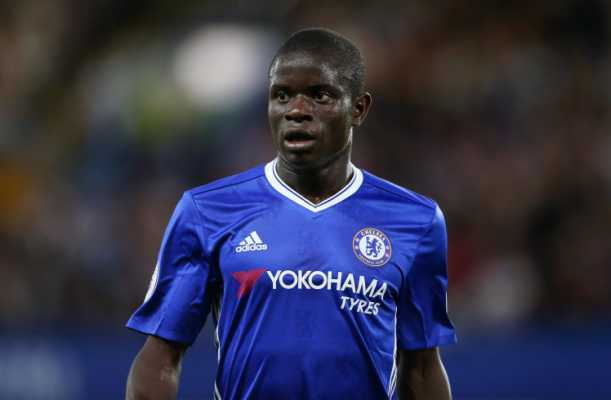 Chelsea midfielder N’Golo Kante has called on his teammates to focus on the upcoming Europa League semifinals against German Bundesliga side Eintracht Frankfurt. Kante talked about German club Frankfurt in his post-match thoughts after Chelsea knocked out Czech Republic side Slavia Prague in the Europa League quarterfinals. The French World Cup winner called on his teammates to quickly switch focus on facing Eintracht Frankfurt for the right to secure a spot in Europa League finals. Kante and Chelsea faced a little scare against Czech side Slavia Prague and were able to come out of it unscathed. The Blues had already won the first leg 1-0 away from home before the second meeting between the two teams at Stamford Bridge on Thursday night. Pedro Rodriguez gave Chelsea the 5th-minute lead before an own goal from Ivorian defender Simon Deli doubled the lead for the hosts. 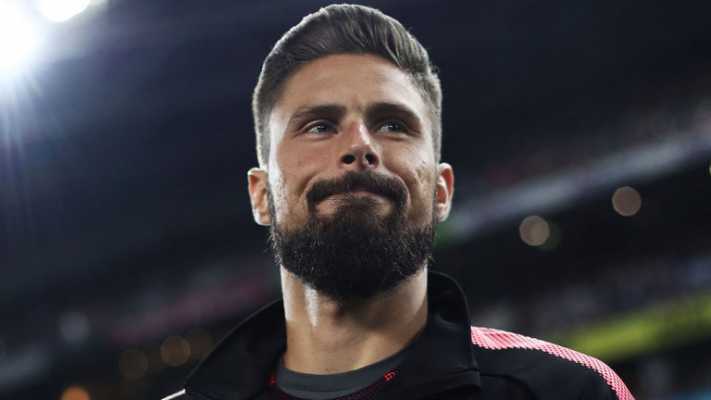 French World Cup winner Olivier Giroud extended his record as the topscorer in the Europa League this season to 10 goals after he edged Chelsea 3-0 ahead. Thomas Koubek pulled one back for Slavia Prague before Pedro Rodriguez added his second goal to give the Blues a 4-1 lead. Two second-half goals from Petr Sevcik reduced the deficit to 4-3 but Chelsea held on to wrap up a 5-3 aggregate victory over their Czech opponents. Chelsea manager Maurizio Sarri has been left unhappy after Napoli were knocked out of the Europa League at the quarterfinal stage on Thursday night after their aggregate defeat at the hands of Premier League club Arsenal. Sarri talked about Napoli during his post-match press conference after his Blues team saw off Czech Republic side Slavia Prague in their Europa League quarterfinal duel on Thursday night. Maurizio Sarri has close ties with Italian Serie A giants Napoli after spending three years at the club before joining Chelsea last summer. The Italian tactician enjoyed a good measure of success while he was at Napoli and it was his work there that earned him a big move to Chelsea. Sarri has not had the best of times at Chelsea but he has been able to lead them to the semifinals of the Europa League at the expense of Slavia Prague. Chelsea survived a little scare before they saw off the Czech side 4-3 at home and a 5-3 aggregate victory over the less fancied Slavia Prague. Sarri’s former team Napoli were second best against Arsenal over the two legs and the Gunners will play in the semifinals of the competition after a 3-0 aggregate win over the Italian Serie A giants. Chelsea legend Glenn Hoddle has berated Blues manager Maurizio Sarri for his treatment of Eden Hazard in recent matches. 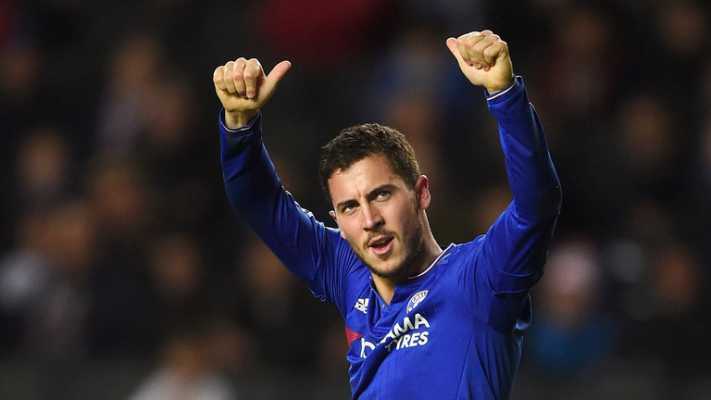 In his recent interview as monitored by popular media platform Goal, the former Chelsea player was at loss to why Sarri elected to play Hazard as a central striker in recent games. Glenn Hoddle was reacting to his decision to start Eden Hazard as the main striker in the last league game, a 2-0 defeat at the hands of Premier League leaders Liverpool. The gamble to play Hazard as the main striker backfired on Sarri. His Chelsea side frustrated Liverpool for the first 45 minutes before the Blues defence conceded two goals in the early part of the second half. Liverpool forwards Sadio Mane and Mohamed Salah were on target for the Reds who secured the top spot on the Premier League table as a result of the win over Chelsea. After the game, Sarri was heavily criticised for his failure to start Eden Hazard in his best position. The Liverpool defeat has left Chelsea with a lot to do to in the race to secure a top-four finish in the Premier League. The West Londoners are outside the top four on goal difference from fourth-placed Arsenal who have played a game more. West London giants Chelsea are set to hand in-form striker Olivier Giroud a new contract that will see him stay at the club beyond this summer. This is according to the publication from popular media portal Goal which claimed that the Blues want to trigger the additional year clause in his current Chelsea deal. Olivier Giroud has few months left on his current contract with Chelsea though the Premier League club can extend it by a year until the end of next season. The 32-year-old has been talking about his future at Stamford Bridge and the need for regular playing time. The French World Cup winner is frustrated at the lack of first-team opportunities at Stamford Bridge and he’s open to the idea of leaving the club. 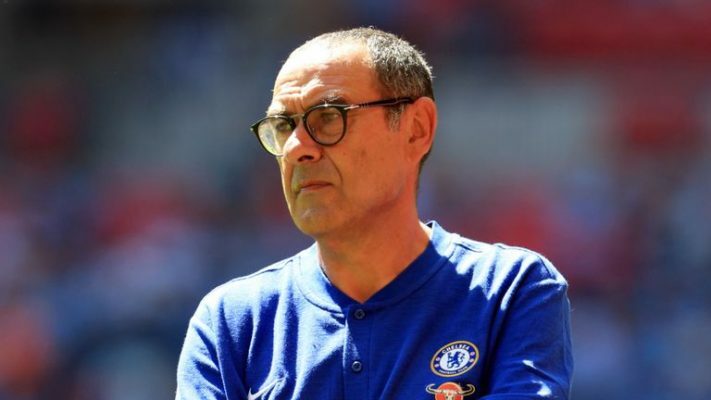 In one of his recent press conferences, Chelsea manager Maurizio Sarri told reporters that the Blues will activate the additional year clause in the player’s contract. Giroud joined Chelsea on an 18-month contract following his move from fellow London club Arsenal at the start of last year. Arsenal received the sum of £18m from Chelsea for his transfer. Giroud has been in superb form for Chelsea especially in the Europa League where he’s the leading goalscorer with 10 goals. Premier League giants Chelsea are through to the last four of this year’s Europa League after they survived a scare against Czech side Slavia Prague. The Blues had to overcome a second-half fightback in their Europa League quarterfinal second leg clash with the team from Czech Republic. Chelsea won the first leg 1-0 away from home courtesy an 86th-minute goal from Marcos Alonso and they wasted no time in adding to that advantage when Spanish international Pedro Rodriguez gave the hosts an early lead in the fifth minute. The West Londoners were 2-0 up when Slavia Prague defender Simon Deli put through his own net. Olivier Giroud added another goal for his 10th goal in the Europa League this season before Tomas Koubek pulled one back for the visitors. Pedro Rodriguez was the star man for Chelsea after he added his brace for the Blues to make it 4-1 at the halftime interval. Slavia Prague fought back in the second half with two goals from Petr Sevcik but it was too late as they succumbed to a 4-3 loss to Chelsea and a 5-3 aggregate defeat. Europa League favourites Chelsea will now face Eintracht Frankfurt in the final four of the competition with a spot in the final up for grabs. Chelsea will have to pay a lot of money to secure the signing of one of their long-term transfer targets according to a specific report from popular media portal Goal. 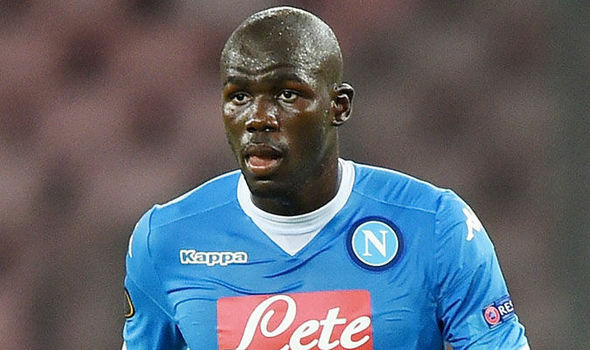 It was revealed that a world-record deal for a defender would be required to sign Napoli defender Kalidou Koulibaly. Senegalese international Koulibaly is widely regarded as one of the top three centre backs on the world football stage. He was part of the Senegal squad to last summer’s FIFA World Cup tournament in Russia. 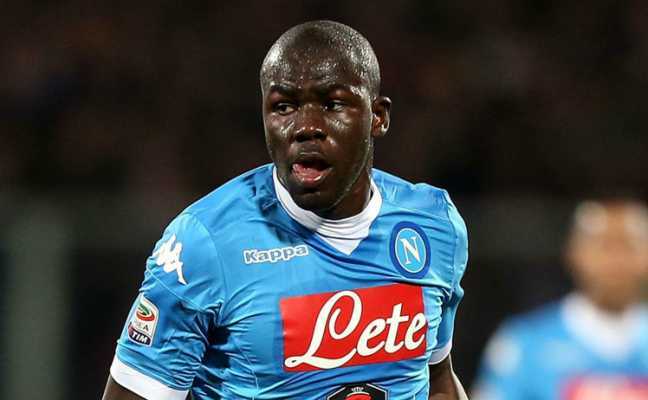 Napoli manager Carlo Ancelotti recently revealed that Kalidou Koulibaly has a €150m release clause. The player has a Napoli contract that runs until the end of the 2022/23 season but the release clause won’t be active until 2021. Apart from Chelsea, Kalidou Koulibaly has been linked with other major European clubs like Manchester United, Real Madrid and Barcelona. Kalidou Koulibaly put through his own net for the second goal scored by Arsenal in the 2-0 defeat handed out to Napoli in their Europa League quarterfinal first leg clash and he would be hoping to put things right when both sides meet again for the second leg on Thursday night. Former Chelsea striker Gianfranco Zola has urged star player Eden Hazard to stay at the club despite the transfer rumours linking him with a transfer away from the club this summer. The Chelsea legend talked about Belgian international Hazard during his latest interview as monitored by popular media outlet Goal. 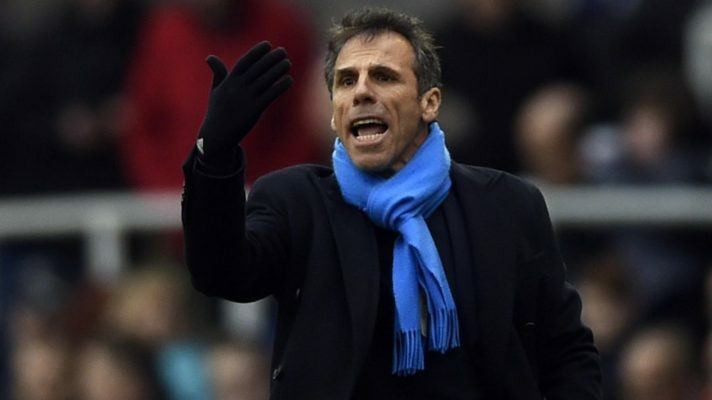 Gianfranco Zola is back at Chelsea as the assistant manager to Maurizio Sarri who was appointed the Blues manager last summer. The former Chelsea player was speaking ahead of the Europa League quarterfinal second leg clash with Slavia Prague FC of Czech Republic. The Blues are in a fantastic position to secure a semifinal position after they won the first leg away from home via a 1-0 win. Chelsea scored the only goal of the game through Marcos Alonso. Eden Hazard came on as a second-half substitute in the first leg and he’s expected to play a big part in the second leg scheduled for Stamford Bridge. The Chelsea talisman has scored 85 goals and also provided 81 assists in 241 Premier League appearances. Eden Hazard has the most goal contributions in the Premier League this term with 16 goals and 12 assists. The 28-year-old has been strongly linked with a move to Spanish giants Real Madrid who are eyeing a major rebuilding job at the club this summer. Chelsea have been rocked by the news that striker Olivier Giroud will reject a new deal to stay at the club beyond this summer when his deal is expected to run out. According to the publication from the Daily Mirror, the French World Cup winner is not ready to commit his immediate future to Chelsea having struggled for regular playing time this season. In a recent interview, Olivier Giroud narrated how he has been frustrated at his lack of playing time at Chelsea this season. Giroud signed for West London giants Chelsea in January 2018 in a deal reported to be around £18m. The 32-year-old joined the club from Premier League top-four rivals Arsenal and he has performed well for his team. Giroud is the leading topscorer in the Europa League this season following his treble against Ukrainian side Dynamo Kiev in the round of 16. He started the season as the second choice striker behind Chelsea loanee Alvaro Morata who has since joined Spanish La Liga club Atletico Madrid. Morata has signed a loan contract that runs out till the end of next season at Atletico Madrid with the option to sign a permanent deal at the club. Olivier Giroud has continued his role as the second choice striker since Gonzalo Higuain was signed to replace the aforementioned Morata. English Premier League outfit Man United have been hinted that Italian Serie A outfit Napoli star Kalidou Koulibaly will now be available for sale in the coming summer transfer window. The Red Devils have long been in the pursuit of the Senegal international defender with former manager Jose Mourinho insisting on his signature. The interest from the Portuguese boss was confirmed by Napoli president but it did not work through. Man United have now been told that Kalidou Koulibaly will now be available for sale but they will have to meet with the asking price of £130 million for his signature or forget about landing him this summer window. Kalidou Koulibaly’s contract with Napoli will expire in 2023 but there are suggestions that he would not see out his contract should the Red Devils meet with his asking price. However, Man United are keen on the signature of a new centre back as manager Ole Gunnar Solskjaer has been told that he needs to have a total overhaul of his squad to be able to compete ahead of the coming season. Meanwhile, it has been hinted that United boss Ole Gunnar Solskajer will have a budget of £200 million for the coming summer window.